A quick look at the concepts behind Halo 4. 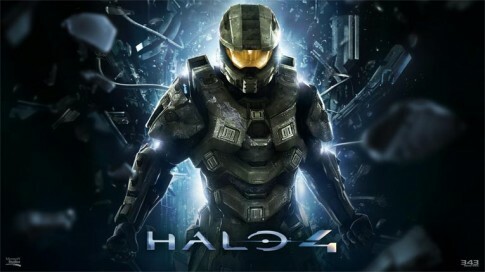 Halo 4 was officially announced at this year’s E3 event and fans were treated to a glimpse of the new trilogy. The Master Chief has woke from his frozen slumber and once again the Hushed Casket is unsealed. The Forward Unto Dawn is rushing into an unknown and alien abyss. A new adventure is about to begin. Until now, this brief teaser was the only appetizer. It set the stage for those unfamiliar with Halo 3’s Legendary ending and provided the perfect starting point for the new trilogy. With HaloFest at the PAX convention, the curtain was drawn back further. No in-game footage was shown. No game play specific details were revealed. Instead 343 introduced the world to the new creative talent charged with telling the new stories ahead and sharing with us their vision for the Halo franchise and Halo 4. HaloFest was a celebration of the past ten years of Halo and a preview of the next ten years. The history of the series was proudly on display during the weekend. Fans had the chance to play the original Halo CE game now remastered in the forthcoming Halo: CE Anniversary package. Brand new maps for Halo: Reach were playable at many of the multiplayer booths. The walls themselves were lined with descriptions of art pieces for each of the published Halo games and it is here where we first got our next glimpse at Halo 4. The first piece of artwork should be familiar to anyone that paid attention during E3. Here we have the Master Chief sporting a new variation of his iconic armour. We learnt during the HaloFest Halo 4 panel that this specific new look isn’t the final armour we will see in-game next year but it does serve to highlight that a very important element of Master Chief’s identity will be changing in the upcoming game – as it has done with every new entry in the series so far. The concept pieces, all except one, were captioned with a short paragraph of text. Set in the aftermath of Halo 3, the Master Chief returns to confront his own destiny and face down an ancient evil which threatens the fate of the entire universe. The exciting return of humanity's champion marks the start of a new Halo trilogy that kicks off with the release of Halo 4 in 2012. Here we have a boiled-down summary of Halo 4 without any spoilers that gets straight to the point of highlighting what seems to be the key themes of Halo 4. What is Master Chief’s destiny? He is already identified as humanity’s saviour, so what could fate have in store for him beyond this role? During the Halo 4 panel, the development team shed more light about the new trilogy’s focus. “A lot of what this trilogy will focus on is exploring the character of Master Chief and what it means to bring him back and really getting closer to that character than we have ever experienced before in any of the past games. An ancient evil sounds familiar. The Flood and the Gravemind have been defeated. Will they return or is it possible that another threat exists that can rival the horror of the Flood? It is interesting to note that the 343 have decided to focus on Master Chief as a character and to try to develop him further through the next trilogy. If one wanted to get into the character of John, the extended fiction was the only street to walk down. It seems this will change going forward. The second image presents us with brand new concept art. Halo 4 will continue to capture the spellbinding grandeur and spirit of exploration fans have come to expect from the series, as seen in this concept image of a starship technology prototype set against the backdrop of a beautiful alien world. The ship in the concept art has the term “UNSC” printed on its side though it’s name isn’t too easy to make out. The ship is clearly not the Forward Unto Dawn, as the ship shows no obvious sign if significant damage and doesn’t match the well known profile of the Dawn. Thanks to folks that seen the art in person we now have a name for the ship, “UNSC Infinity”. The description tells us that it is a “technology prototype”, are we seeing the next generation of UNSC starship design? During the Human-Covenant war Humanity made several significant technological discoveries and advancements at the same as encountering significantly more advanced Covenant and Forerunner technology. The UNSC was constantly putting new technology on the front lines of the battlefield, determined to close the gap between humanity and her aggressors. With the conclusion of the war, has humanity finally had time to make serious technological jumps? Has the UNSC incorporated Covenant or Forerunner technology into the military? Later during the Halo 4 panel, Frank O’Connor further elaborated on this particular aspect. Halo 4 takes place post the discovery of Forerunner technology. We’ve been beaten back and beaten back by the Covenant and haven’t had the time or the luxury to invest in research. The planet behind could easily be mistaken for Earth but the text blurb points out that this is an alien world far away. The next concept image seems to take us deeper into the mysterious Forerunner structure. The shattered remains of the UNSC Forward Unto Dawn drift toward a mysterious artifical world, its ominous shape opening up to consume Cortana and the Master Chief or release long-buried secrets – or perhaps both. This piece looks very similar to the final scene of the E3 trailer as the Forward Unto Dawn approaches the surface of the mysterious world and it in turn opens up, casting a blinding white light outward, allowing the Dawn entry. Inside our adventure awaits. The accompanying text lacks subtlety in its description of what will happen. Just as the Covenant unleashed the Flood upon the surface of Installation 04, a newer threat is about to be unleashed as events unfold. It’s been confirmed that whatever it is the Chief is heading to, it is sure to be Forerunner in nature. Consequently, it is easy to jump to the conclusion that perhaps the planet could be one of the Forerunner Shield installations. The Shield installations were part of the Forerunner plan to eradicate the Galaxy of the Flood. When the Halo array was fired, the Shield installations would protect inhabitants against the Halo effect. The plan was to protect life inside the Shield installations until the Flood was exterminated. These plans did not come to fruition and alternative plans were set into motion. The Shield installations remained despite the change in plans and have sat quietly in various places in the Galaxy. We know a little about the Forerunner constructs due to the events that occurred at Onyx Shield Installation in Ghosts of Onyx and the Flood-controlled Shield installation during Halo Wars. The Onyx facility was a planetoid, its crust composed of billion Forerunner sentinel machines that surrounded a compressed slipspace bubble at it’s core, within which contained a miniature Dyson sphere. The Flood-controlled facility also had the appearance of a small planetoid with an Earth like crust and atmosphere on the outside and a hollow interior with a separate planetary surface and atmosphere inside. From the concept art, it looks as if the Forerunner world may be similar to the Flood-controlled Shield instillation. The UNSC Spirit of Fire entering a Shield installation. As the above images demonstrates there are visual similarities, particularly with how the Flood-controlled facility opened up to allow the Spirit of Fire to enter its interior, as the mysterious Forerunner facility is opening up to let the Master Chief on board the Forward Unto Dawn to enter it. The next concept image takes us further into the heart of the Forerunner planet. The eye is drawn immediately to the huge unknown structures that dwarf the scenery around them. How likely is it that these structures are elaborate welcome signs inviting us to investigate further? If these grand and bold structures are indeed warnings, then the threat they are trying to warn us about must be similarly huge in scale if not in person. It is certainly true that we, as players, have become quite accustomed to exploring the ancient and enigmatic Forerunner ruins across the galaxy. Something new and different would certainly be needed if there’s any chance to reignite that initial sense of discovery and exploration. If you look closely at the concept image (much easier if you watch the Halo 4 Concept art video here!) you make out what appears to be a pair of Forerunner sentinels, drifting across the skyline with their robotic tentacles trailing behind them. This, along with Frank’s quote clues us in that this particular Forerunner world is different. We’ve explored Forerunner ruins, but what if this place is not in ruins at all? Why is this activity taking place on what should be a dead world? We know there is an ancient threat here on this active Forerunner planet. Is it the threat itself that occupies the Forerunner machines and if so, what kind of threat would require an entire planet of activity to confine it? The highlight of HaloFest for many fans was the Halo 4 panel. Whilst it seems as if we must wait a bit longer to see the actual game itself, we were introduced to some key members of the development team behind the game and they shared with us their thoughts on the franchise going forward. 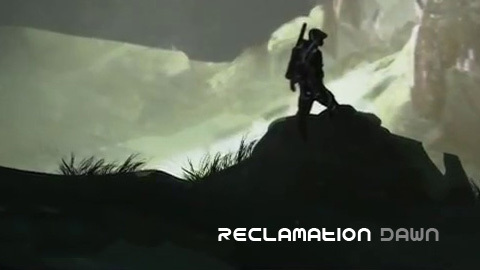 In addition to announcing the formal name of the new Halo trilogy, ‘The Reclaimer Trilogy’, we got another glimpse into the Halo 4 universe, this time with an animated concept art montage. The animation was similar to the motion comic work 343 has done in the past for various animated Halo comics projects and it added a real depth which is simply missing from any static, traditional concept pieces. We may be exploring this world in Halo 4. This our first proper glimpse of the Forerunner world unobstructed by shade or darkness. It’s green rolling land masses and deep blue oceans are immediately recognisible and similar to Earth’s own. The planet also bears a striking visual similarity to Reach before the Covenant invasion and subsequent glassing. On the surface there appears to be a strange landmass. A large, thin ring of land containing a thicker but smaller ring of land inside it, separated by ocean and a circular landmass in the middle of the second ring again separated by a body of water. It is almost surely unnatural and artificial. It could simply be just be a scar left behind by a celestial impact sometime in the distant past but it certainly draws attention to itself. It is likely that this Forerunner planet is the stage on which Halo 4 is set if it is the mysterious planet that we see in both the Halo 3 Legendary ending and the E3 Halo 4 teaser video. A planet offers substantially more possible environments for player to explore and battles to be waged across. HaloGAF member Flipyap contact me after the initial publication of this article and pointed out something very interesting. He noticed another, much stronger link between a concept piece and Halo Wars. The above image shows the inside of a shield world from Halo Wars. You can see how the entire of the planet is covered with a crust and land features similar to the outside of the shell. 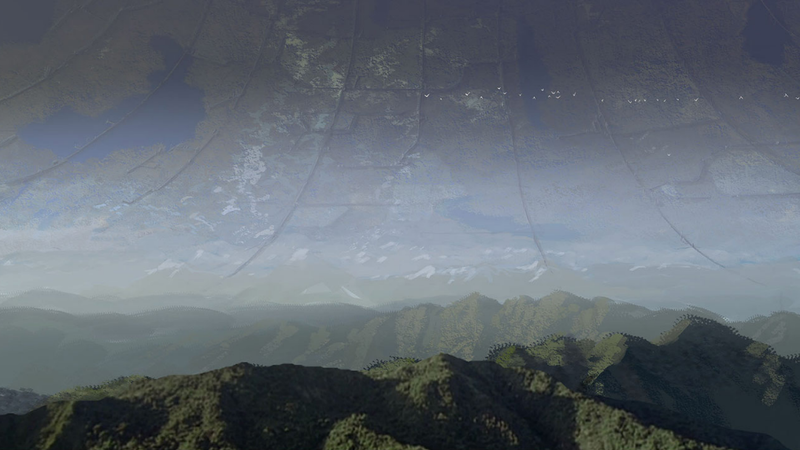 This picture appears to show similar landmass features in the background, reaching high and arching skyward similar to the scene from Halo Wars. Although the concept art background is slightly blurred and out of focus, it does match up with our expectations of what it would potentially look like inside a Shield world – a dyson sphere with a surface on the outside and inside of its shell. The concept trailer showed focused specially on the Forward Onto Dawn’s entry to the Forerunner planet in addition to the the initial concept art shown on the wall. The Forward Unto Dawn passing through the mysterious portal. The Dawn's engines possibly failing. Is this the Dawn or another ship? The entry to the planet is obviously a significant event with so much of the concept art covering this specific moment. It is during this sequence and through the concept art that we catch our first glimpse at the possible activity within the Forerunner world. The ship pictured in the third image doesn’t quite look like the Forward Unto Dawn. The hull configuration doesn’t look quite right at all and it is possible that we’re seeing another ship entirely here. Two in fact. One of the significant benefits of animation is the ability to convey certain ideas much more easily and clearly than would be possible with a static piece of art. With the ship in the third picture we can see a strange object, probably another ship, flying along side it. In the third image’s lower right hand corner there appears to be a ship complete with a vapour or spent fuel exhaust trail. 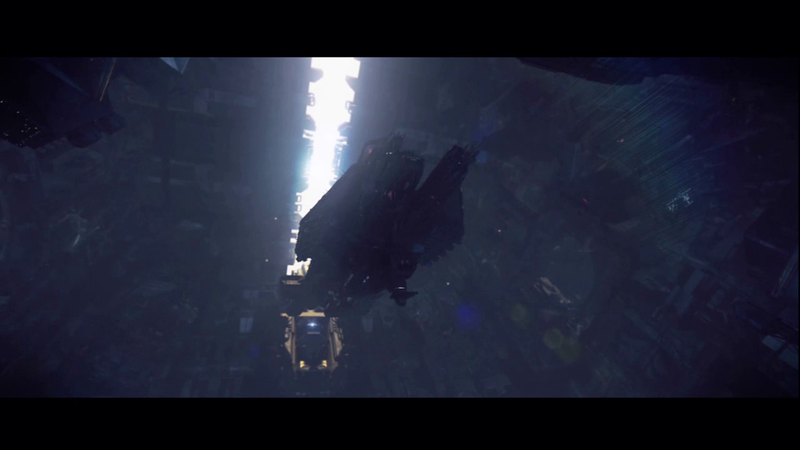 In the first few frames that we see it, it zooms away from the main ship’s position and leaves the screen but quickly returns and zooms back toward it. At first glance you’d be forgiven for mistaking it for an escape pod – perhaps the Master Chief is trying to escape the Dawn (if the larger ship is the Dawn)? It warranted a closer look. The ship has a close resemblance to a particular Forerunner ship we have seen before but a quick side by side comparison shows that these two ships are different. The mystery ship doesn’t conform to our expectations of Forerunner design. Superimposed known Forerunner ship on the left, unknown ship the right. The main body of the ship is much more bulbous and the trail behind the ship suggests a possible traditional fuel source like those seen in 21st century rocket launches. The design doesn’t match known Covenant ship configurations either – could this ship possibly be human in origin? During the panel the development team spoke about how the extended fiction will have stronger ties into future Halo games going forward and this became readily apparent when one specific piece of Halo 4 concept art was shown. On its own, this piece is quite shocking in terms of the possible new bits of information it apparently reveals. Firstly we have what looks like soldiers down in the bottom left hand corner. We have massive ships taking up the middle space. They don’t quite look like traditional Forerunner ships but they do have Forerunner stylings. The background seems to feature a massive structure that fills the horizon and grows narrow as it arcs into the sky – Halo? The cover art for Halo: Primordium. 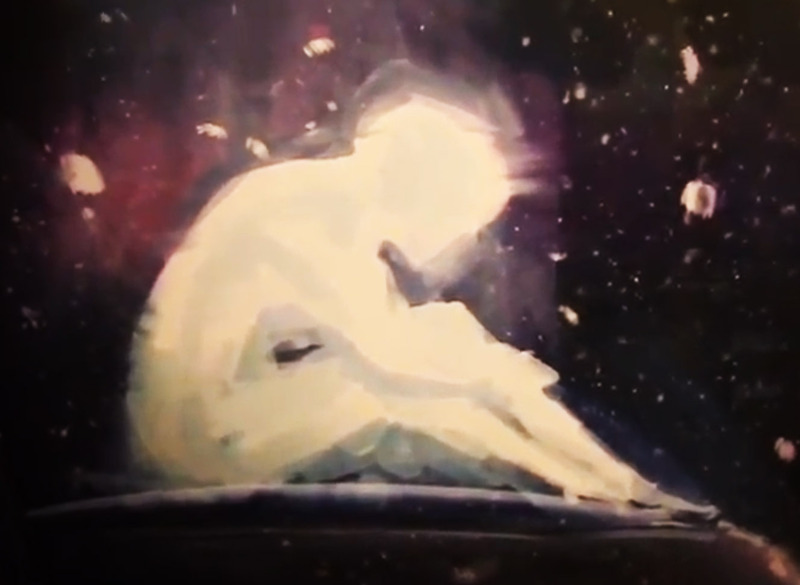 The image makes more sense when you realise that thsi is the same piece of artwork for the upcoming book Primordium. Primordium is the second book in the Forerunner saga, and follows characters who have found themselves on a Halo installation in the midst of a war, many thousands of wars before the events of the first Halo game. In this context, the images makes more sense but raises the question of how such distant events on a far away Halo installation influence the events that will take place during Halo 4 with the Master Chief landing on Forerunner planet, far removed from events in the past. Mysterious agents, perhaps they are on the Chief's trail? Here again we see unfamiliar ships. The ship design is similar to the ships in the Primordium art, with a very robust and wide frame. 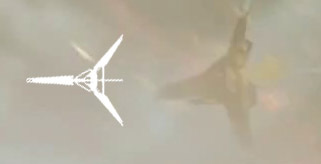 Similar to the previous mystery ships, these simply don’t look like Forerunner designs – no sharp angles and thin connecting structures to be seen. Potentially human in design and certainly not following Covenant motif, company won’t be far behind Master Chief during his journeys. Whether they are friend or foe remains to be seen. Will Master Chief interact with the wildlife? The Forerunner activity won’t be the only thing the Chief may encounter on the mysterious planet as a two of the concept pieces feature what appear to be flying (or swimming!) animals. It remains to be seen why these animals would be there and what role they would have in such alien environments and how extensive the the planet’s food chain really is. The last piece of concept art from the Halo 4 panel teases what could very well be the ancient evil threat. … and we came face to face with the threat. Wjilst the Flood eminated an atmosphere of death and decay, this new threat seems cold and sterile like a machine. With the stronger ties to the extended fiction touted by the Halo 4 development team and the clear ties to Primordium with the sharing of concept art, could this new threat be a remnant of the original Flood-Forerunner war? Primordium covers the period millenia ago when a rogue AI hijacked an entire Halo installation and posed a grave threat to the universe. NeoGAF user Flipyap worked some magic pieced the frames together to give us a better look at our potential foe. A closer look at… it. On the wall tucked at the back of HaloFest was a piece of art with no text description accompanying it. This piece was not shown during the Halo 4 concept art trailer and almost went ignored. Cortana sitting down in her holo-display. Cortana has been integral to the story and journey so far so it is natural to expect her to continue to be at Master Chief’s side during his future adventures. During the panel, it was confirmed that she will be returning. Cortana and John’s relationship will be taking center stage across the entire trilogy as the games explore their unique relationship. This has been primarily the domain of the extended fiction up to this point as we’ve learnt that their joint history and relationship extends beyond the games. Now it appears that the games, going forward, will be exploring this area. Like every surviving character from the original trilogy, Cortana has undergone some important and significant changes. Whilst the Chief slept peacefully on board the Forward Unto Dawn, Cortana sat patiently, digesting her unique experiences and the sheer volume of information and history she’s bore witness to through her journey. Cortana also faces the possibility that she is near the end of her artificial lifespan and her encounters with Forerunner technology and the Flood Gravemind may have changed her in ways she herself cannot yet understand. Is Cortana on the brink of rampancy? Or on the verge of a greater transformation? Ancient enigmas, rampancy and madness, mysterious alien worlds and unknown enemies. It feels like Halo. A new journey has begun set in motion and the future of Halo is with us now, thanks to a renewed and increased focus in unifying the franchise’s various arms to paint a grander, more unified vision. 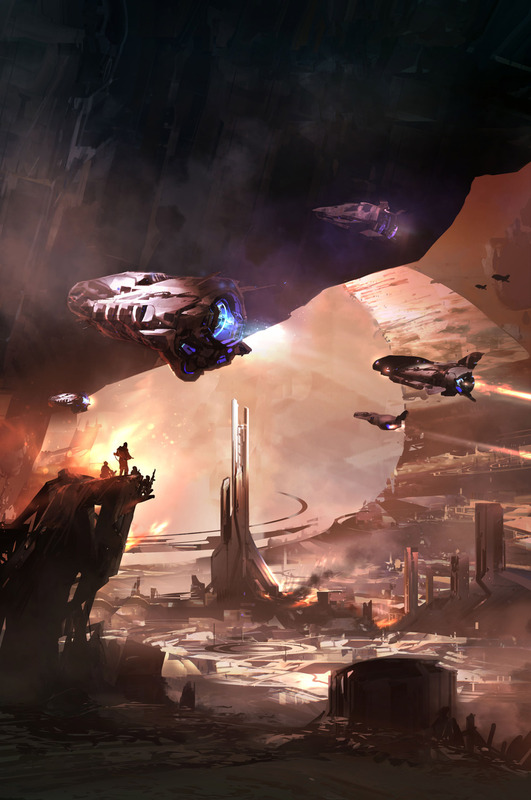 The UNSC ship featured in the concept art on the Halo 4 wall display is called the UNSC Infinity. Apparently the name was much easier to make out whilst viewing the artwork in person rather than second hand via a video recording on the internet. Thanks to the attendees that pointed this out. 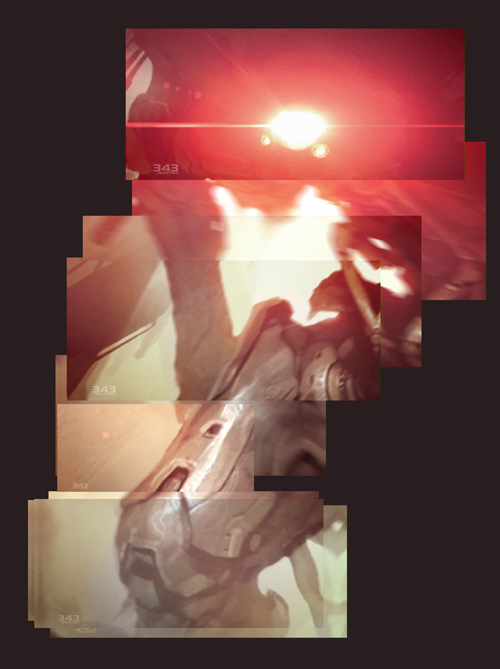 Thanks to HaloGAF member Flipyap for putting together various still frames in the Halo 4 concept art video to give us a better idea of the mysterious entity at the end of the video. Others members, including myself, had put together similar montage images but yours was easily the most clear and complete. Flipyap provided a look at the “wildlife” as presented above and, in his opinion, it looks like it’s another unknown ship or flying vessel – not an animal. 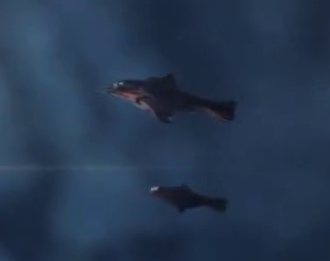 If they are ships and not beasts, it could mean there’s a whole fleet flying around. A potential human fleet that doesn’t look like it’s UNSC. Article updated with yet more Flipyap goodness. He pointed out a fantastic connection between Halo Wars and the Halo 4 concept art that I had missed. Great eye for detail! You can find the full set of concept art images in the Forward Unto Dawn Article and Concept Art Gallery or you can watch the full Halo 4 Concept Art video below. That’s a pretty sweet write up! Great to see 343 continuing the Bungie trend of putting hints and clues in these early Halo 4 released. Nice write up and especially love the new gallery sub-site you’ve put up! Take a look at the ship shown during the epilogue of Halo: Reach (30 years after the war) and compare it to the ships shown in the concept art. Bungie gave us a glimpse of the future. Look at the profiles of the Pelicans and then looks at the concept art. Same things. Which means the UNSC is at and knew about this planet. The UNSC Infinity must be there and sent Pelicans to the Chief. May I point out that the UNSC Infinity is mentioned more than once somewhere in the last quarter of Glasslands? The article was written before Glasslands was published so I couldn’t have known about it’s inclusion in the book. You are right, the Infinity is certainly talked about a few times in the book. The two objects originally mistaken for wildlife actually look astonishingly familiar. If you look closely, They appear to be a pair of pelicans placed at an angle. Or they are a variant of the pelican. For christs sake! They are fish leaping out of water! Why are people saying that they’re birds or ships?